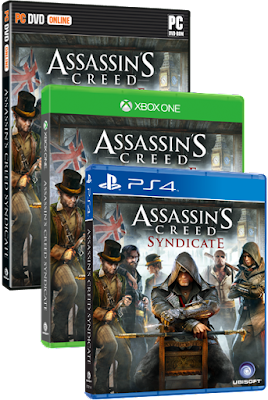 With the reveal of Assassin's Creed Syndicate, Ubisoft has detailed the Standard, Gold, and Collectors Editions. 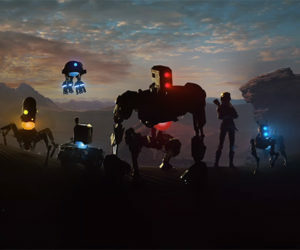 For UK Collectors Edition, check HERE. As is the case for all pre-orders, the Standard Edition comes with the Darwin and Dickens Conspiracy Mission. 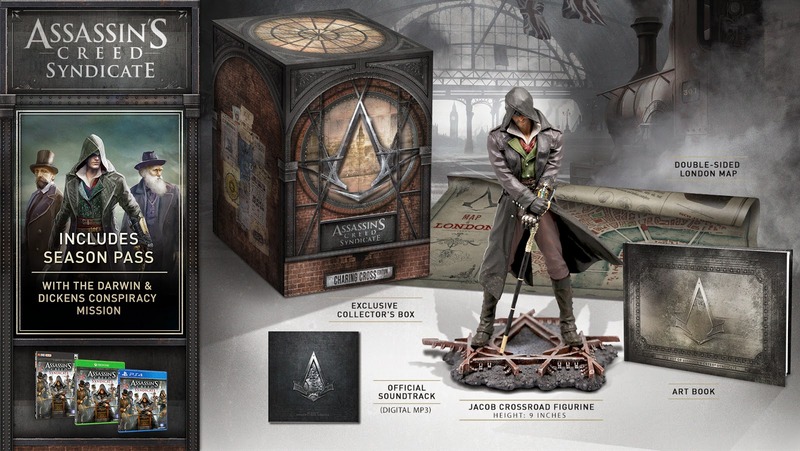 The Gold Edition comes with the Darwin and Dickens Conspiracy Mission as well as the Season Pass. The Collectors Edition comes with the Darwin and Dickens Conspiracy Mission, Season Pass,Jacob Figurine, Poster of London, Artbook, and the Official Soundtrack (digital MP3). 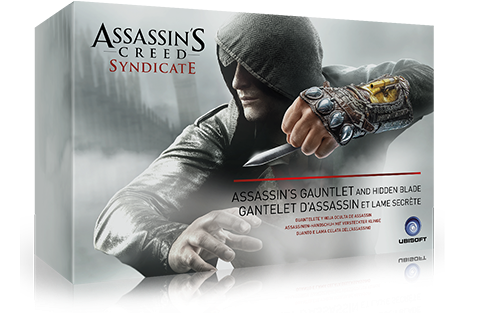 Also available for Pre-order is the Assassin's Cane Sword and Assassin’s Legendary Hidden Blade and Gauntlet. 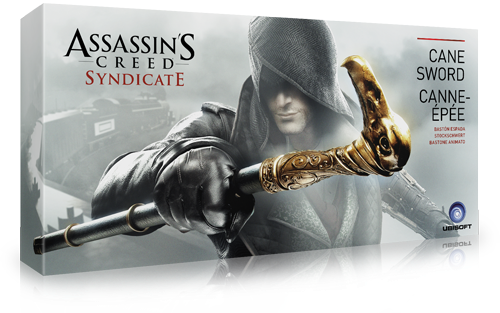 This life-size replica of Jacob's signature weapon in Assassin's Creed Syndicate features a fully detailed sword and a button triggered spring-loaded scythe blade. The intricately sculpted plastic cane sword is 36 inches tall. 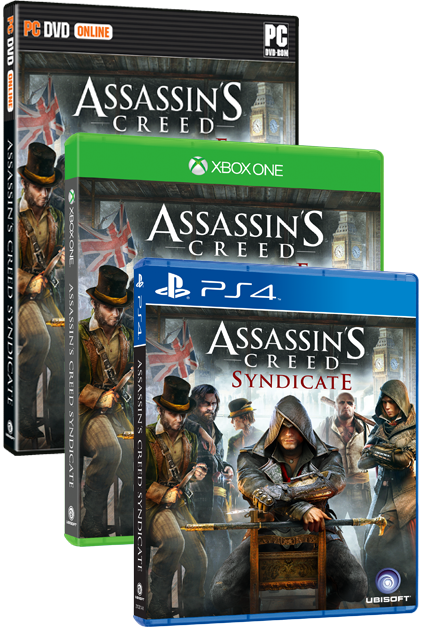 Display this as part of your collection, or wear it to complete the ultimate Assassin look. 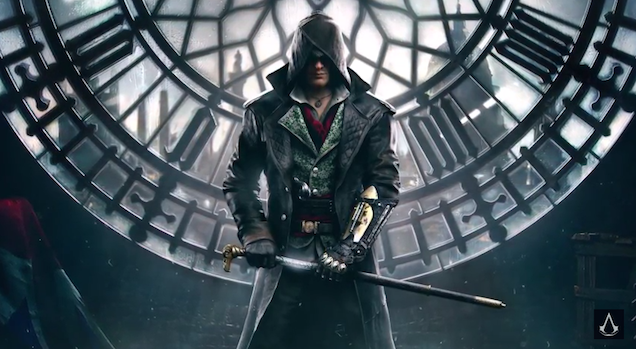 This life-size replica of Jacob's signature weapon in Assassin's Creed Syndicate features a functional hidden blade. The intricately sculpted plastic blade and rope dart detail attach to the bottom of the forearm, while the adjustable straps and highly detailed simulated-leather gauntlet attach to the top of the forearm.